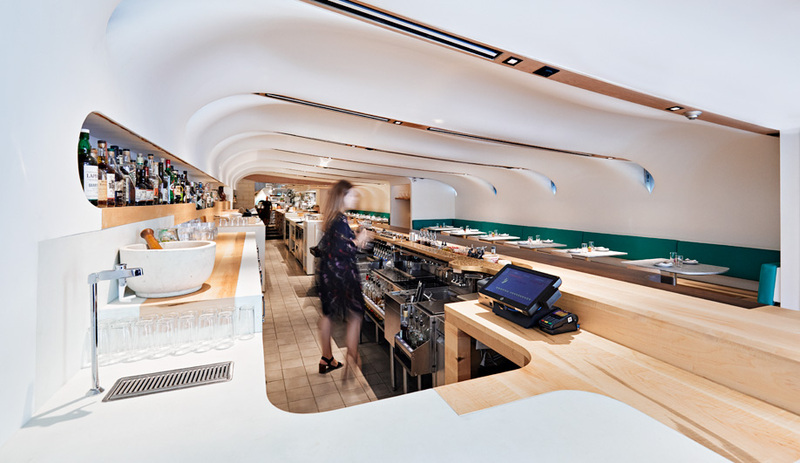 Toronto firm +tongtong drew from Spain’s vibrant art legacy – Picasso, Dalí and Gaudí – for one of the city’s newest restaurants, Barsa Taberna. In an 1850’s heritage building across from the historic St. Lawrence Market in downtown Toronto, Barsa Taberna presents a more sophisticated iteration of the often-typical tapas bar. The 275-square-metre space, originally used as horse stables for the Royal Canadian Mounted Police, features original stone walls and arches that instantly conjure the old world. 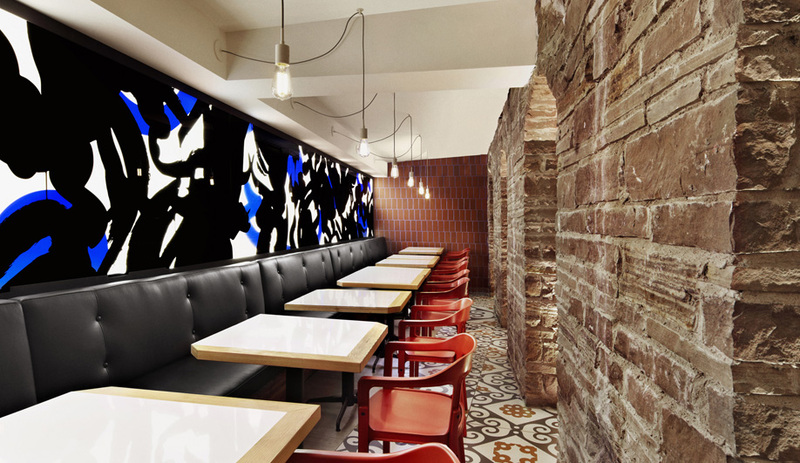 In contrast, +tongtong installed bold graphic murals, giving the space a modern, vibrant ambiance. 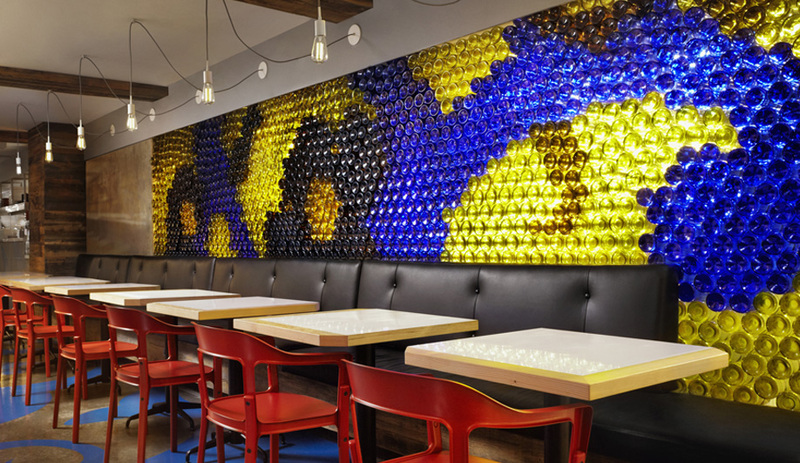 A unique, Gaudí-inspired illuminated glass wall panel is constructed of 1,500 hand-cut wine bottles, while local artist Pascal Paquette was enlisted to assist with the creation of a glowing panel of LED backlit acrylic, which is decorated with vinyl adhesive graphics reminiscent of a Picasso painting. 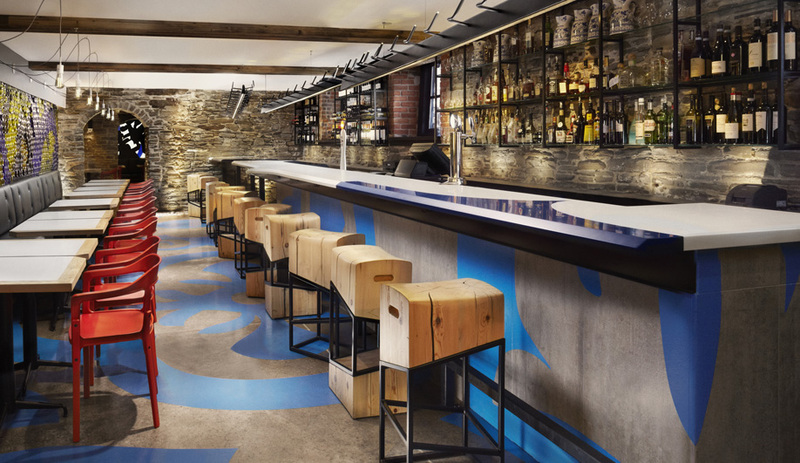 The bold theme continues with the flooring, which is a combination of treatments: oversized CNC adhesive stencils on concrete, which was then painted with epoxy, and floor tiles by Refin with similar – but much smaller – graphics, in traditional earth tone colours. 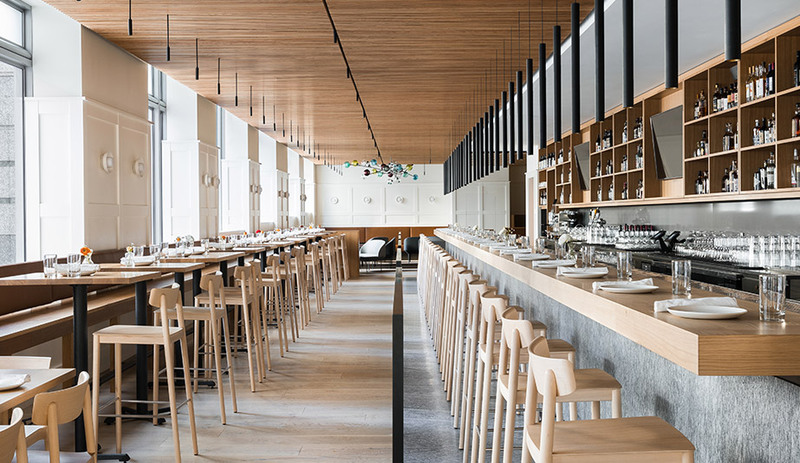 A custom LED light fixture stretches over the entire length of the bar, with slender uplighting extensions which +tongtong describes as representing “the motion vectors of several charging bulls.” The bar stools were also designed by +tongtong, in three versions constructed of old-growth pine on a metal frame. The bright red of a matador’s cape is reflected in the Herman Miller dining chairs. Outside, an expansive front patio seats up to 75 people. 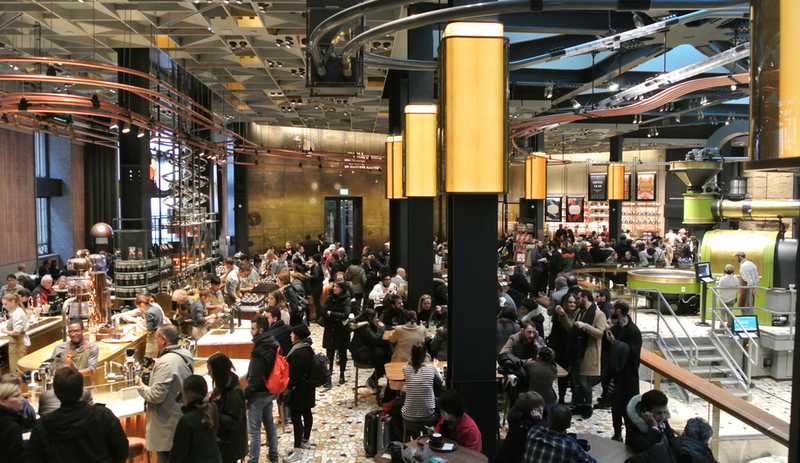 This outdoor space is the result of the recent redevelopment of Market Street. 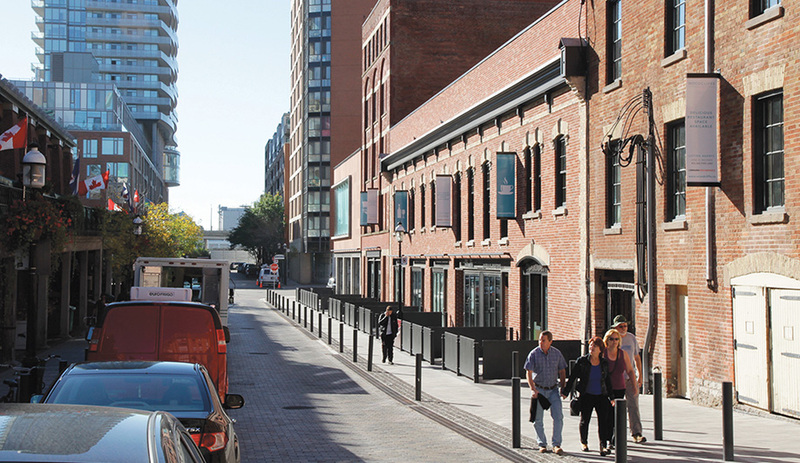 Taylor Smyth Architects restored several buildings, while the entire street was resurfaced with stone-coloured brick. The developer’s original plan was to dedicate the street to pedestrian use – at least during the summer – but this is still under consideration by the city. For now, removable bollards block off the patio areas, while allowing for street parking during the winter months. As the formerly neglected heritage neighbourhood enjoys renewal and growth, Barsa Taberna takes a leading role in reshaping its cultural cachet.